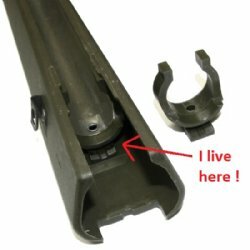 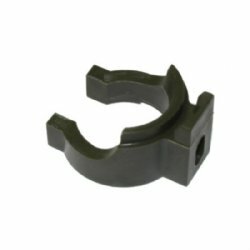 HK G3 HK33 spacer for wide handguard. 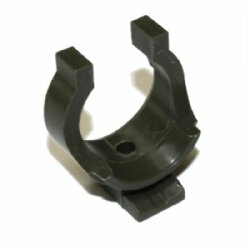 Though these were part of green handgaurd production they will work for green or black handguards. Correct for HK G3, HK91, G3K HK93, HK33 handguards. This part is sandwiched between the handguard and heat shield and is riveted in place. The back of this spacer engages the trunnion.